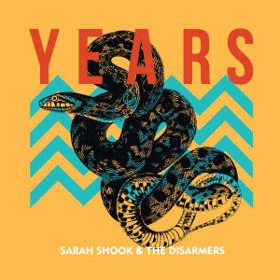 The good news about great artists releasing new albums just keeps coming, setting up 2018 as a potential bumper crop year of critically-acclaimed releases, with the latest being Bloodshot Records signee Sarah Shook and her band The Disarmers announcing the release of her sophomore record Years on April 6th. First featured by Saving Country Music in October of 2015 before barely anybody knew her beyond her home of North Carolina, Bloodshot picked up her debut album Sidelong and re-released it in 2017, becoming one of the favorite releases of many last year in the true country realm. Now with a head full of steam and much wider audience, Sarah Shook looks to go to the next level with the new album. 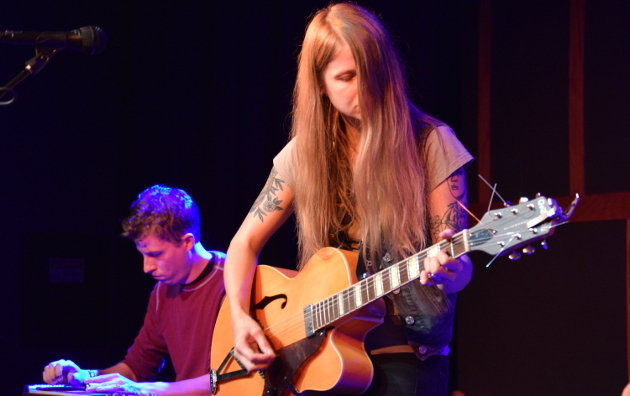 Not just listening to the songs of Sarah Shook, but delving into her personal story as a single mother, and a black sheep born into a family that only listened to worship music, she has persevered at every level to hold on to herself, and now has been able to create a sustainable career through pursuing her passion of music. It’s a true story of gutting it out and making it work against the odds. Ahead of the release, Sarah has released a new song “Good As Gold.” She will also be touring throughout the spring to promote the release, including a stop by South By Southwest in March. Find the track list, tour dates, and the new song below, and pre-order the record through Bloodshot. So, so excited for this one, and I only have to wait until April! Looking forward to this, Sidelong was very good. Yes! Aril 6th is going to be a big day. Since you brought up her personal life, she’s lesbian right? I thought she’s been pretty open about it in a lot of gay magazines. I guess she considers herself bisexual … “I’m a bisexual, vegan, atheist in a country band in the south.” She been very active in the LGBTQ community. This song, “Good as Gold”… my first impression is the corners seem to be a bit rounded off compared to her music on the independent album. I guess that can be expected. Hopefully, some of the other tracks will be a bit more gritty and unpolished. It matters to Shook… a ton. Like Willie is an advocate for the legalization of marijuana and Jr. is and advocate for NRA, Shook is an voluntary, active voice for the LGBTQ community. She participated in the anti-House Bill 2 concert (the NC bathroom bill) and is the organizer of a 2-night music festival in Chapel Hill, NC – Manifest – that showcases bands that have at least one woman, LBBTQ , or minority member. This is remarkable stuff for a woman trying to make it in a narrow-minded genre. So, that’s why it matters. I either saw in a video or some interview where she identified as a pansexual. I had never heard that term and had to look it up. I’m really looking forward to hearing a new album from her since she’s been one of my favorite female fronted groups since I heard about her years ago on this website. I didn’t care for her first album. I can see the way this blog is turning. “Sidelong” was a real bolt out of the blue. First song off this one sounds a little more down the middle but still with evocative vocals and lyrics and solid musical foundation. Pre-ordered the album and will be at a show in May! What way is the blog turning? What does that mean? (Honest question.) I thought Sidelong was terrific. DY is a classic. I guess it started turning that “way” back in 2015 when he reviewed Sidelong. I am a fan and think Sidelong showed lots of promise. I am a bit underwhelmed by Good as Gold though. Still want to hear more from Years and will be at her show when she is here. Fingers crossed. Love Good as Gold! Different from Sidelong but that’s fine, it’s a different time and they already made that record. Once again, thank you for showing these new ( or New to me) Artists. I was turned onto the Bloodshot Label from the beginning. Anything they put out is worth my time to check out. I liked her first album and look forward to checking out the new one. Bloodshot’s up there with Daptone in terms of consistency for me. Tremendous record label. Sidelong was one of the best damned albums that I’ve heard in the last 10 years. It’s a pistol of an album. Really loved Sidelong, discovered it on the re-release last year. Recently got the album from Sarah Shook & The Devil as well, initial impressions are good. I pre-ordered Years last night, but haven’t listened to the first single yet. I like her low (contralto?) voice. Sidelong is part of my primary rotation. “Dwight Yoakam” is my favorite song on the album, but I like the whole thing. IMO that album is a good example of pushing the boundaries of country sound while still staying true to the core of what country music is. Will be very interested to see what happens with this new one. Sidelong is an excellent album, and its not often you can find that half-yodel singing anymore. Very excited to see whats next from her. Finally! See you in Saint Paul. It isn’t a cheery album, but it makes me feel good. Had the opportunity to see her and loved the show. Just got tix today for April. I’ve never seen a picture of her smiling. Do not ever ask her why she doesn’t smile!! She takes great offense to that question. Check out her social media pages. She is extremely approachable and dedicated to being authenticate with her music. It’s 2018 don’t put her in a box, just go see her. This album might be different from the first because the band has changed. They are honest people. Tremendous album, found it at my local record store over the weekend and remembered this review. Was very much glad I did, excellent stuff. SCM does a great job informing us on great artists like Sarah Shook and Billy Strings who would never so much as catch a glance from the radio, but tour long, tour hard and put out quality albums.